Nintendo's Satoru Iwata says the company is thinking internally about what has to be done to make the NX region free. Region free gaming has historically been a point of contention with Nintendo, as while competitors Sony and Microsoft have long-shunned the archaic practice, the house that Mario built continues to cling to it. Pretty much any and all hope of Nintendo's current systems, the 3DS and the Wii U, going region free has been lost, but now is the time to look the the future: Nintendo's upcoming "NX" dedicated game system. 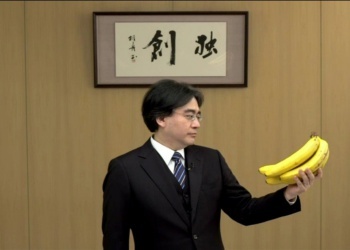 In a Q and A session with investors, Nintendo top banana Satoru Iwata commented on the possibility of maybe, maybe, going region-free with the NX. "There are a number of difficulties in removing the region locking on existing hardware, so there is little expectation of this becoming a reality any time soon," explained Iwata. "On the other hand, regarding the NX, there is strong support from our customers, and support from the market for the removal of region locks. While a decision still hasn't been made, we are looking at the problems involved in creating a region free platform and looking for solutions. This is the current situation we are in internally. We acknowledge your wishes for a region free platform, and I personally am positive about the future in this regard." While it is a long shot from "the NX will be region free", Iwata does seem very positive about it happening. As for what steps need to be taken, I'm certain region-pricing policies need to be examined for the system to work. Hopefully though, Nintendo will come to its senses and make the NX region free, so that gamers who enjoy importing games that only get released in Japan don't have to own two bloody systems to play them.